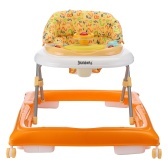 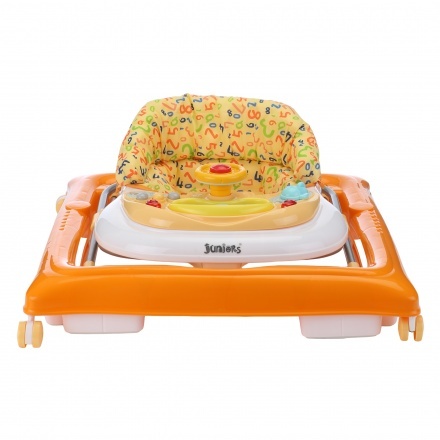 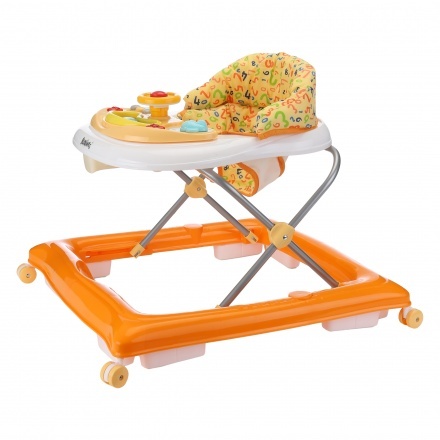 Juniors Expo Baby Walker | Orange | It features interactive toys to develop children's early learning skills. 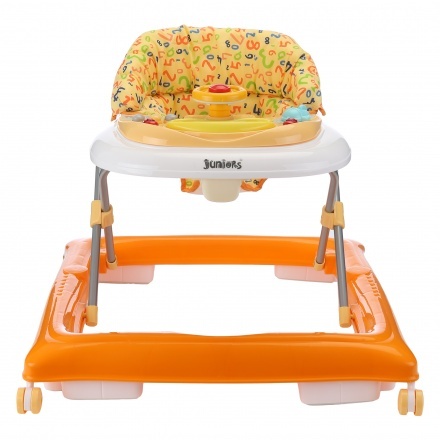 Sturdy and durable, this baby walker will help your little one learn and walk. 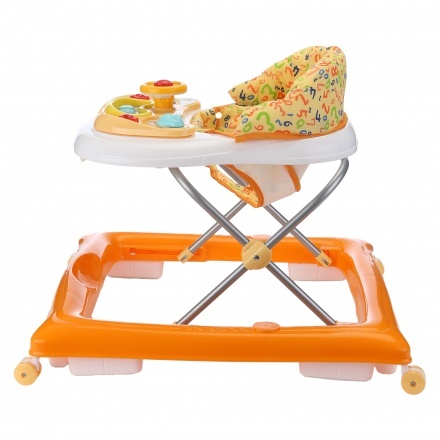 Featuring smooth wheels and toys to play, this piece has a printed seat that is comfortable and can be stored easily.